New Delhi/Bangalore: Two of India’s oldest law firms embarked on a merger of sorts in 2006, with one part-acquiring the other. The deal started unravelling three years later and the Bombay high court was unable to convince the two sides to settle their dispute through mediation on Thursday. Five years ago, the Delhi partnership of Fox Mandal and Co., then little-known outside Kolkata where it was founded in 1896, part-acquired 146-year-old Mumbai firm Little and Co.to become one of India’s largest law firms with 38 partners and 250 lawyers. “Things were looking good," recalls one former partner of the firm, “but suddenly it just fell like a stack of cards." More than a dozen partners have resigned from Fox Delhi’s partnership since 2009, which is also being sued by three former partners for allegedly unpaid dues. Fox retaliated against this with another criminal case. Meanwhile, according to people close to developments at Fox Delhi, some of its current lawyers believe that they are owed back salaries. The firm denied this when asked for comment. Little & Co. was and is a typical “Bombay-solicitor" firm—conservative and respected. Though quality lawyers remain at what is sometimes called India’s oldest law firm, many partners have left and joined younger firms: Dina Wadia and Berjis Desai took up management positions at J Sagar Associates and Ravi Kulkarni set up a capital markets practice at Khaitan and Co. Nevertheless, Little & Co.’s continuing Mumbai market share and its name—first made advising the East India Company—were an attractive prize for Fox, whose entry into the country’s commercial hub until that point had been more cautiously organic. Fox was primarily a Kolkata firm, usually ranked alongside Khaitan & Co., another firm with its origins in that city, which in recent years managed to establish a pan-India practice. “At that time a substantial (number of) people had already left (Little). They were in a consolidation stage, and when Som (Mandal) spoke to them, things looked better, so they agreed on it (the merger)," explains one former partner. “It was done on good faith." As part of the deal, Fox Delhi partners were to buy 45% of Little & Co. for aroundRs 6 crore paid in seven instalments between May 2006 and April 2008, according to court documents. Little & Co. partners would be entitled to 10% of Fox Delhi profits under the deal, while the common brand name of Fox Mandal Little would be used, projecting one firm to the outside world. The merger was a bold move with few precedents. It was typical of its architect, Som Mandal, the amiable and ambitious managing partner of Fox Mandal’s Delhi partnership and son of Dinabandhu Mandal, the patriarch who manages the Kolkata partnership of the firm. In just a few years Som Mandal, who is both unconventional and media savvy, managed to bring Fox to the attention of the Indian and overseas legal establishment. In 2007, Fox moved into legal process outsourcing (LPO) just as it was becoming a buzz phrase, signing up investments of several crores of rupees from the Hindujas to start Legal Circle. In 2008, FM Legal Circle Services Pvt. Ltd got further investment from Soma Ventures Pvt. Ltd but nevertheless recorded a loss of Rs85 lakh, according to its balance sheet. In February 2008, Fox made headlines at its London office opening—the presence of snake charmers and bellydancers got the attention of the legal trade press. Fox Delhi also began offering starting salaries near the top of the market round about this time and Som Mandal continued to be heavily featured in the media at home and abroad. Unusually, he also regularly lobbied for and spoke out in favour of liberalizing India’s legal market. This was unlike most other managing partners of Indian law firms who were, and are still, actively opposed to the idea of foreign law firms here. To many foreign lawyers, Fox Mandal driven by Som Mandal epitomized the confident, new-generation Indian legal professional that they wanted more of. To some Indian lawyers, however, Som Mandal taking the reins at Fox was seen as an unwelcome upstart shaking the boat. “He brought into the organization what Fox Mandal is, and we all respect him for the vision he has," one Fox partner said, echoing others. “But there are issues there." In the first half of 2009, Fox was still bullish, but the credit crunch sparked a change that decreased the volume of transactional work clients were sending to lawyers, squeezing cash flows. According to a letter sent by Little & Co. partners to Som Mandal and other Fox Delhi partners in December 2009, profits before partners’ salaries and tax at Fox Mandal Delhi had dropped by 30% from ₹ 5.67 crore to ₹ 3.98 crore between 2008 and 2009. Som Mandal said by email that Little & Co. later withdrew the letter and he was unable to confirm the figure, though one Little & Co. partner told Mint he stood by the contents of the letter. The deal was plagued by other developments. In January 2008, Fox Mandal Consulting Pvt. 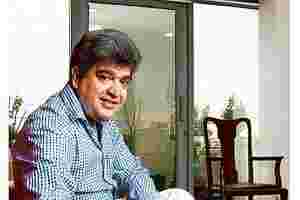 Ltd, controlled by Som Mandal and his wife Sangeeta, renegotiated its 2003 mortgage with Housing Development Finance Corp. Ltd over its Noida office property for the fourth time. The loan was increased by ₹ 1 crore to a total of ₹ 6.25 crore at a variable per annum. Repayment was to take place through 84 monthly instalments of around ₹ 1.8 lakh each, at a variable interest rate that was then around 13%. The mortgaged loan for the Noida office, valued at ₹ 7.15 crore, was backed by the personal guarantee of Som Mandal and his father Dinabandhu Mandal, and an irrevocable guarantee from the Kolkata partnership, Fox Mandal & Co. Meanwhile, the LPO Legal Circle “did not take off as recession set in," said Mandal. One former partner said, “Legal Circle doesn’t have any work." The LPO had investments and loans to repay and the London office had significant overheads as well, adding to the strain on the parent firm. Legal Circle’s cumulative losses increased to Rs4.4 crore, according to its March 2010 accounts. In addition, around 2008, Fox had entered into a novel “factoring facility" with HSBC that the bank had previously only offered to international law firms. Under the facility, HSBC was to immediately pay Fox a percentage of its unrealized billings, and deduct a fee for this service once clients eventually paid. The final ingredient was an increase in the so-called lock-up—the time it takes for a client to pay a law firm’s bills. This doubled to up to six months, Som Mandal said at the time, as foreign clients faced their own difficulties. As a knock-on effect, monthly retainer fees paid to associates and partners of the Delhi office ended up being delayed for up to several months. This triggered the departure of several partners. Four of them started SRGR Law Offices in December 2009. In early 2010, Fox bought some breathing space by selling its Noida office and leasing it back. Three SRGR partners sued Fox for the recovery of allegedly outstanding dues in 2011—Saroj Jha for ₹ 1.8 crore, Ravi Bishnoi for ₹ 79.4 lakh and Rajan Gupta for ₹ 66.9 lakh. Last week, Fox filed a first information report (FIR) against the three partners alleging theft of sensitive data, resulting in a police raid. Other Indian law firms have made similar moves against defecting lawyers. Bishnoi said the complaint was “absurd". Also around the same time, HSBC made the first moves towards initiating debt recovery proceedings against Fox following the closure of its factoring facility, despite at least one law firm declining to act for the bank against a fellow lawyer. “HSBC claimed around ₹ 90 lakh and as a result of settlement ₹ 65 lakh was paid to them," said Mandal, adding that there are “no dues to HSBC nor any debt recovery pending". Though they were not financially on the hook for anything going on at Fox Delhi, the Little & Co. partners appeared to be troubled. “The public admission by a professional firm of its failure to pay salaries to its partners and associates, and some of them, after their long and fruitful association, leave the firm, is a very sad and serious reflection not only on the firm but on all others connected with it," seven Little & Co. partners wrote in a letter to Som Mandal and six other Delhi partners in December 2009. The Little & Co. partners also attempted to terminate the merger between the firms, and complained that the Little & Co. name was being used illegally. Som Mandal denied the allegations via email and said that Little & Co. withdrew the termination letter in April 2010. Mandal’s criminal complaint against three Little & Co. partners filed in Noida in November, as well as two former Fox Delhi partners alleged that Little & Co. was to blame for the break-up, having artificially reduced Mumbai profits to deprive Delhi partners of their entitlement. Little & Co. managing partner Ajay Khatlawala declined to comment as the case was ongoing and the complaint had not yet been served on him, but said that in already filed court documents Little stated that all amounts due to Fox Mandal had been paid. According to some insiders, Little & Co. had made an offer to buy out Fox Delhi, which was rejected. On 26 October 2011 the Bombay high court imposed a stay on all disputes between the feuding parties, making them subject to mediation presided over by senior advocate Iqbal Chagla, but the court halted the mediation attempts and lifted the stay on Thursday. Insiders said a reconciliation was unlikely. “The mindset differed from the start," said one former partner. An existing partner said: “Their approach of working and our approach of working is quite different". “Frankly, I think somewhere it was a clash of egos also," said another former partner. Som Mandal’s brother Shuva Mandal, who manages the firm’s separate south India partnership headquartered in Bangalore, denied that the troubles of the last few years in Delhi will affect the rest of the firm or the brand overall. “Fox Mandal will always remain Fox Mandal." Som Mandal added that no dues were currently outstanding to any lawyers or partners, that Fox would continue to grow in London and Paris—where it now has an association with a local firm—and that “in spite of all the issues" the firm’s attrition rate “is still perhaps the lowest in India". Little & Co. partners also declined to comment in detail, saying that the matter was currently sub judice. One partner, who did not want to be named, said: “If we have survived 155 years, we will survive further. I am sure we will overcome this." • The first published version of this article errenously stated that Legal Circle had made a profit.